The fourth edition of this highly acclaimed text on the natural environment of the earth has now been thoroughly revised and updated and includes a new chapter on The Organic World, more "windows", new illustrations, and a range of other features. Please visit the accompanying website at: http://www.blackwellpublishers.co.uk/goudie to view sample material from both the new edition and forthcoming instructor's manual online. Fully updated with an entirely new chapter, and new features throughout. Now features a list of key concepts and points for review. Includes increased number of windows, updated and expanded reading guides, and new plates and diagrams. Well illustrated with updated examples and case studies. Puts more stress on the importance of hazards, natural environmental changes, and human impacts. Andrew Goudie is Professor of Geography at the University of Oxford and a former Pro-Vice Chancellor. He is holder of the Royal Geographical Society's Founder's Medal and the Royal Scottish Geographical Society's Mungo Park Medal. He is a Fellow of Hertford College, Oxford. Part I: The Global Framework:. The Nature of the Ocean Floors. The Surface of the Land. The Shape of the Continents. The Subdivisions of the Earth's History. Further Reading for Chapter 1. A Vertical Profile Through the Atmosphere. Further Reading for Chapter 2. Human Modifications of Major Vegetation Types. The World's Great Soil Orders. Climatic Geomorphology: The Influence of Climate, Soil and Vegetation. Further Reading for Chapter 3. Part II: Major World Zones:. The Formation of Glacier Ice. Glacier Ice and Sea-Level Changes. Ice Segregation and Frost Heaving. Frost Shattering and Soil Formation. Slope Processes, Avalanches and River Regimes. Further Reading for Chapter 4. Western Margin Warm Temperate Climates (The Mediterranean Type). Eastern Margin Warm Temperate Climates. Soils of Cool Temperate Climates. Soils of Warm Temperate Climates. The Impact of Climatic Change on the Landscape. Dry Valleys and Mis Fit Stream. Natural Hazards in Western Europe. Further Reading for Chapter 5. Dams, Reservoirs and Inter-Basin Water Transfer. Problems of the Desert Realm. Further Reading for Chapter 6. Tropical Seasonal Forest and Savannah. Some Problems of the Humid Tropics. Further Reading for Chapter 7. Part III: Mountain and Maritime Environments:. Further Reading for chapter 8. Barrier Beaches and Related Forms. The Human Impact on the Coastline. Further Reading for Chapter 9. Part IV: Landscapes and Ecosystems:. Dispersal and Migration of Plants. Dispersal and Migration of Animals. Human Impact on Plants and Animals. Further Reading for Chapter 10. Further Reading for Chapter 11. Other Processes Operating on Slopes. Further Reading for Chapter 12. Further Reading for Chapter 13. Further Reading for Chapter 14. Channel Cross-Section and Hydraulic Geometry. The Human Impact on Rivers. Further Reading for Chapter 15. Air Pollution and its Problems. Soil Erosion and Sediment Yield Associated with Construction and Urbanisation. Further Reading for Chapter 16. 17. 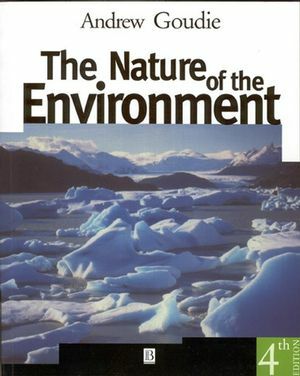 Nature, Humans and the Environment. The Influence of Environment on Humans. The Relevance and Application of Physical Geography.